I lined up a handful of blanks at a time on my 4" bench block and kicked into production mode. 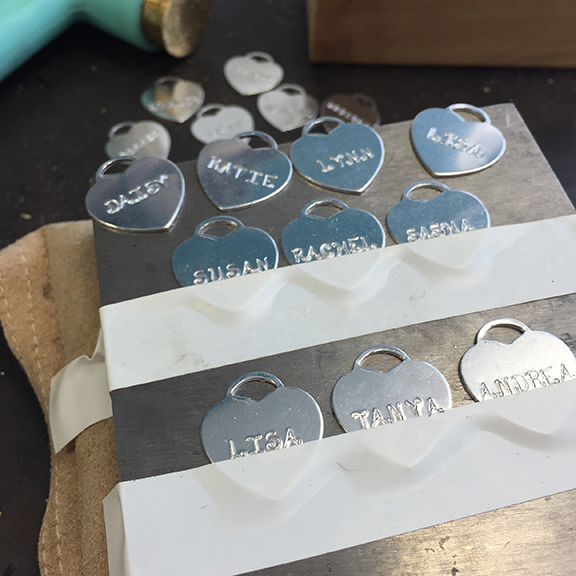 Stamping on aluminum with the ergo hammer is a dream! The soft metal and design of the hammer made it easy to complete the project quickly. After they were all stamped, I added jump rings and tied them to the stem of the glass with some beautiful wide organza ribbon I pulled from my craft closet. 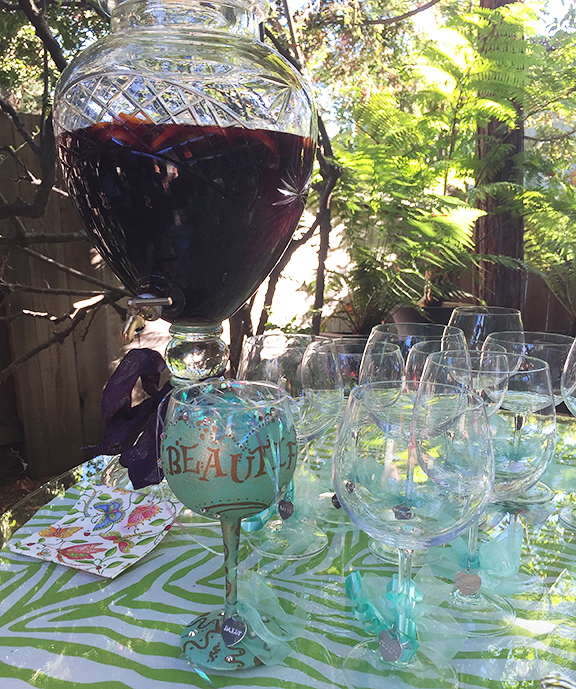 The 16 glasses looked great together out in the sun next to the giant vat of sangria (I substituted lemon Bacardi for brandy, yum!). 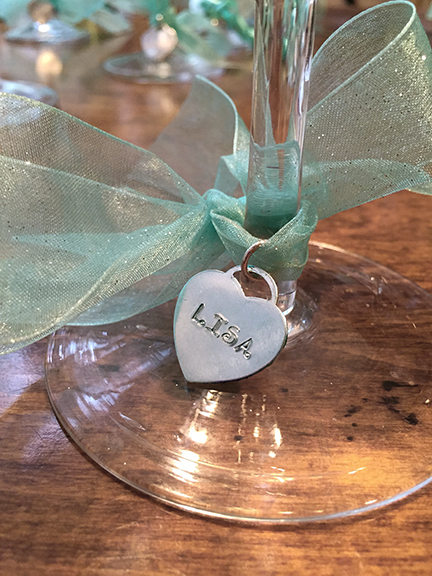 The guests loved their take-away gift. This festive idea would be great for weddings, baby showers, and holiday parties!